This Eid, the drama is as hot behind the silver screen as it promises to be on screen. In a series of surprising events that have taken the film fraternity by surprise, the makers of Main Hoon Shahid Afridi (MHSH) have decided to delay the release of the film which was slated for Eid. Shehzad Rafique’s Ishq Khuda and Iram Parveen Bilal’sJosh are still scheduled for an Eid release, but the most anticipated Pakistani film this year, MHSH is taking its time to hit the box office. While producer Humayun Saeed is currently not in Pakistan, the film’s writer Vasay Chaudhry tells The Express Tribune that some last minute problems arose. Azam Khan, a well-known film editor who owns the post production house Xperts, passed away during the fine-tuning of MHSH. “It was really sad for everyone. 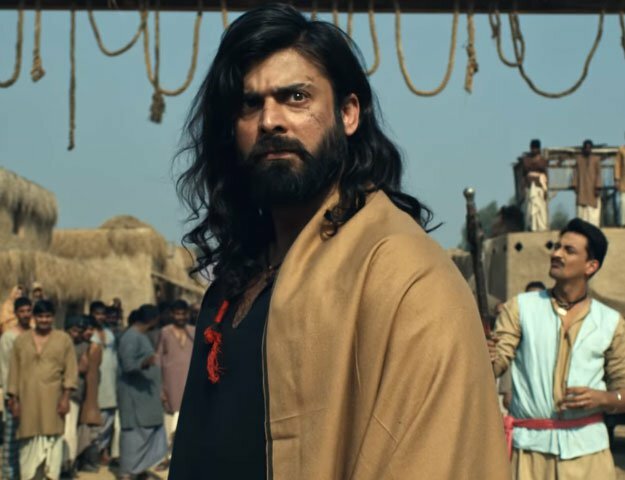 To troubleshoot, we had to rush abroad to continue the post-production process but unfortunately, we wouldn’t have received the final prints on time,” says Chaudhry. This, however, is not the only hurdle for MHSH. At the eleventh hour, the previous understanding between distributors and film-makers that no Indian film will be imported on Eid has suddenly been overruled. While the newspaper ads of MHSH and Bollywood flick Chennai Express read “releasing on Eidul Fitr” and “coming soon” respectively, The Express Tribune has learnt that the latter will be taking MHSH’s slot during the Eid break. Chaudhry admits that stiff competition from the Shahrukh Khan-starrer is a reason for the delay; Chennai Express has the killer combination of King Khan and Rohit Shetty, a director who has never flopped at the box office. “Whether you like it or not, we are not ready or willing to compete with a big budget Shahrukh Khan film,” he says. He adds that he is disappointed and shocked that no one from Lollywood has made an issue of this sudden move to allow Indian films. “I am surprised that no one from Lollywood or the Film Producer’s Association has said anything about this issue — especially Mr Syed Noor, who is the biggest advocate of banning Indian films in Pakistan and often rambles about it on television,” says Chaudhry. When contacted, Syed Noor said he could be surprised if Indian films were screened on Eid as distributors had given him their word. While IMGC Entertainment is bringing Chennai Express to Pakistan, Satish Anand of Eveready Pictures is importing yet another expected blockbuster, Once Upon a Time in Mumbai Dobara, which is eventually expected to give MHSH a tough time at the box office. However, Nadeem Mandviwalla, who’s company Mandviwalla Entertainment is distributingMHSH, feels otherwise. “Eid has its advantages and disadvantages, so if a film has to do business it will do so before or after Eid,” he says. He also believes that, given the circumstances, delaying MHSH is the wisest decision as it now has more time for pre-release events and promotions. The delay in MHSH has definitely disappointed many cinema goers, who were ready to buy tickets on Eid but will now have to wait for a few weeks. This delay may just be a blessing in disguise for Josh, but only if people treat it as a separate Pakistani film and not a secondary option to Chennai Express.